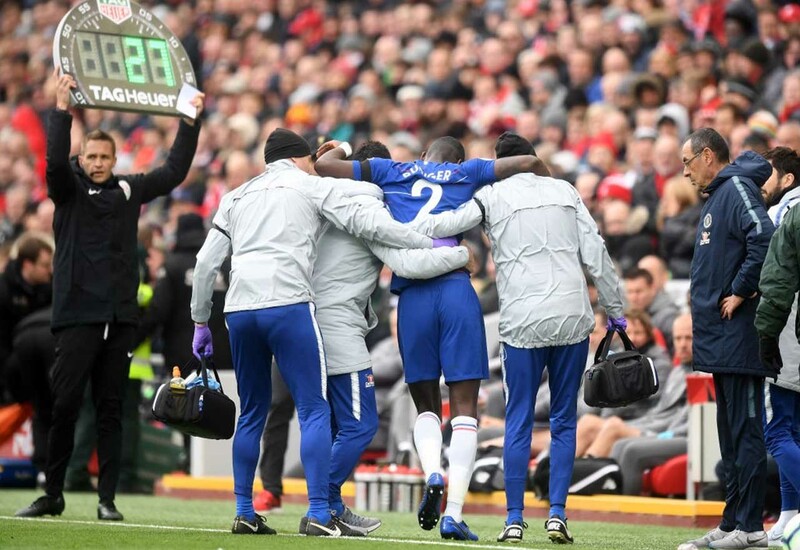 Chelsea suffered an injury blow during the first-half of their clash with Liverpool at Anfield, with Antonio Rudiger being forced off with a knee injury. Rudiger initially limped off the pitch after suffering what appeared to be an impact injury to his knee. However, he was able to carry on for some time after. It is unclear whether another strong challenge dealt further damage to his knee, or this is a whole new injury altogether. Either way, he couldn’t carry on. Andreas Christensen, who to his credit has been brilliantly recently, was brought in in place of the German, who was escorted down the tunnel. We dearly hope that the damage done to Rudiger isn’t as bad as it looks. We need him for the end of season run-in which lies in wait. You can’t help but be fearful when it comes to knee injuries, though. That could easily be his season over.